Scott meets Kira and he wants to stay but he still has to find Hayden and Baby Wolf – he does assure her, not too convincingly, that he totally doesn’t believe she’s the murderer. This puts him in a mood so he goes home and storms up to Corey and plunges his claws into the back of his neck to do the whole werewolf mindreading trick. I did wonder why Corey was still alive. Tapping into the memory, Scott sees images of Corey being dragged to the doctors’ lab. There’s some questioning over Scott’s methods here but he just snarls “he’ll be fine.” This gives them the water treatment plant where Hayden and Liam are being held. Scott wants to charge off but Stiles & co desperately try to make him pause and see sense. Stiles is worried about Mason going as a normal human, he wants to talk to his dad and he’s still worried about some super powerful supernatural force stealing the chimera bodies. Lydia also wants Scott to realise he could have really hurt Corey with his claw stunt. Scott can’t delay and insists on going – taking Mason and Malia. Corey would quite like to go somewhere where werewolves don’t stab him in the neck so Theo and Lydia lie about bansheeness to pretend she predicts his death if he leaves. They’re not convincing. Theo keeps pushing for any more memories he may have, dragging out that there’s a basement in an old house with a hole in the wall. In the morgue it starts to get hot… and the sprinklers spew super-pressurised water as the lights go out. Something throws all the police around. Parrish acts super creepy to the sheriff, speaking like a robot, and the body disappears. Kira is still the only one who hasn’t read the Dread Doctor’s book because of her kitsuneness and Noshiko gives her some advice on how to get past this. She triggers her memories and remembers the Dread Doctors messing with her, injecting her eye (eewwww uckies) and channelling lightening into her brain. Probably not a good thing for a storm Kitsune (but crafty since it let them into Eichman house). Liam is in the Dread Doctor’s lab with Hayden and both of them are having nasty things done to them in very nasty surroundings. Especially Hayden who isn’t doing well. Liam does the werewolfy pain stealing thing to try and help her. Well, he tries, baby wolf isn’t up there yet. They continue to be tormented. And locked behind an electric fence. The Doctors come for him when he starts bleeding silver. Bye bye angel boy. Scott, Malia and Mason run through the tunnels of the water plant for ages, unable to find them while Scott’s growing frustration and panic keeps triggering his asthma – though he’s resistant to using his inhaler. It bothers him a lot to use it – and then he goes into a guilt spiral for not saving Liam and Hayden. Mason has to convince him to keep trying. There’s also an ourobouros on the wall. Using the new info he got from Corey (apparently), it’s Theo who finds Liam and Hayden and rescues them by ripping out the electric fence (electric fence doesn’t work so well on a werewolf). He rescues them –but Hayden isn’t healing. She considers herself one of their failures and she and Liam kiss – he pulls off the werewolf pain sucking thing. With them rescued, Scott & co return home – but Scott is clearly troubled still despite all the hugging. Kira is also there – packing. She needs to fix her fox and to do that she has to leave so she doesn’t hurt anyone and can figure herself out (with the body gone, Ken is released and not charged with a murder). Scott tries to deny it and Kira again demands he look at her with his alpha eyes. He does – and sees the flaming fox around her. Kira leaves town after Scott kisses her goodbye in the sad rain and trails of sparks. He falls into a massive funk, telling his mother “something has changed” with him and his friends, something he can’t fix but is his fault. 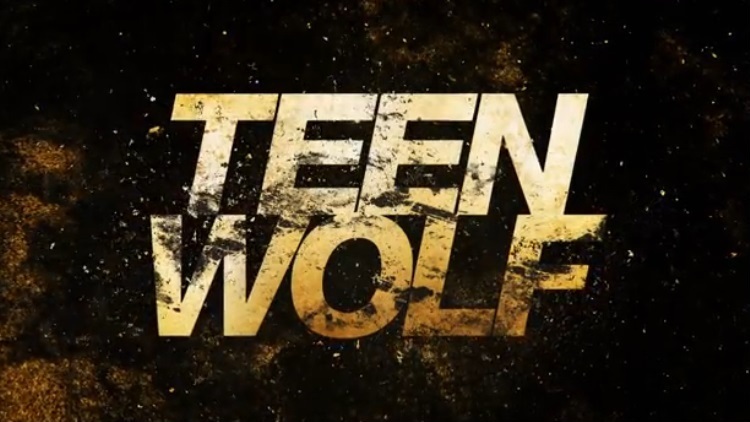 And back to Deacon and the Desert Wolf – she’s curious at the idea that Malia is still alive and plans to kill her. Again. Not good. First and worst – Kira. I hate the idea of Kira leaving, she was an excellent part of this show, she and Scott’s romance was excellent, she’s awesome and needs to stay. I hate the idea that she’s been written out – and how knows how long this may last? Is she ever going to come back? Hmmm I think “outside” or “above” the law are difficult to reconcile especially since there is a difference – only one I think the sheriff may be the one making the mistaken definition on, not Melissa. Though it’s an understandable difficulty – but there is a difference between things the law cannot/shouldn’t touch (outside) and things the law daren’t touch because of the power involved (above). The supernatural is not really something Beacon Hills police force is equipped to handle. These creatures are, by definition, outside the law – beyond the law’s reach, outside of the sheriff’s ability. In some ways this could be interpreted as “above” because the supernatural are too powerful to prosecute but, ultimately, it’s “outside” because the law is neither equipped nor written to deal with the supernatural – nor is it ever likely to be so. It’s not a matter of power per se, so much as complete and utter alien ignorance. Which is why Melissa’s statement is more than passive aggressive awesomeness. If the sheriff is going to bring the supernatural before the law and insert law enforcement into an obviously supernatural case then let it do so. Either it’s supernatural and they decide the law can’t apply because it’s too complex, OR they decide the law does apply to the supernatural – so the whole story needs to be told. Cherry picking for the sheriff’s conscience is no more just than turning a blind eye. Of course, the sheriff has to see that the people he is protecting as “outside” also tend to be his friends and family… which means even if it isn’t a case of “above” the law, it does look and feel like it. It must feel like he’s covering for his son and his son’s friends and the sheriff is too good a man for that, especially when we reach murder and especially when supernatural “justice” will leave a lot of families with no answers. Yes I like this whole conflict because it isn’t simple. Scott is also interesting this season – I think in part this is because he is, unequivocally, a leader and a leader of people under threat. He feels responsible, threatened from several angles and, no, he isn’t perfect. I think it may also be a consequence of being Alpha – not just in terms of responsibility but, from what we saw when he first confronted a chimera, his sheer physical power. That is a way he can fight and win. It probably says a lot about how the nameless Stilinskis quietly eats at me that I was rather ridiculously excited to see Stiles’s first initial – M – on his library card.